While attending Solid Edge University 2013 I got to see and review an impressive array of enhancements for Solid Edge ST6, and I’d like to bring as many of these to light as I can. While it is impossible to quantify which CAD design platform is the ‘best’, Siemens’ Solid Edge team insists on carrying out a mission to be the ‘best mechanical assembly design system’. The company has strived to stay focused on Synchronous Technology, to make in-context assembly design faster, and maximize their strengths in large assembly handling, sheet metal design, and drawing production. Enhancements to the Key Point Curve command gives users full control over key point curves, and permits adjustments to nodes and sketches. 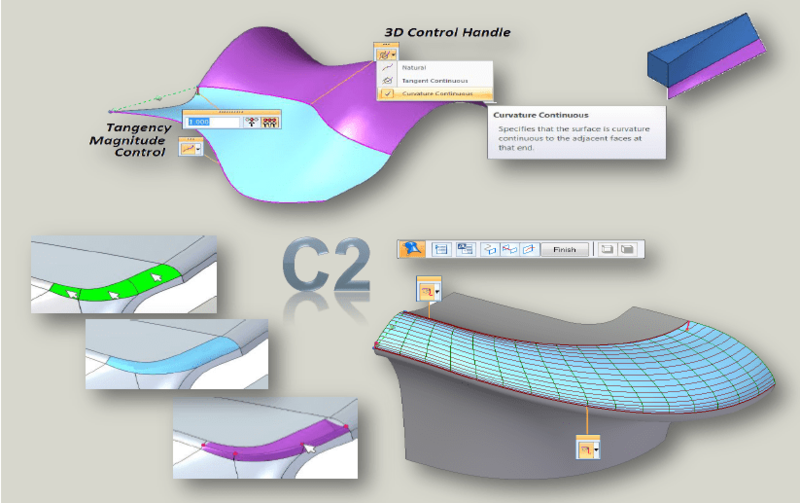 The new visualization tools look impressive; options have been added to the BlueSurf command permitting a better understanding of the shape of organic surfaces. New Simplify Assembly Environment – ST6 moves further into large assembly handling by providing simplified assemblies, and boasts effectively working with up to 1 million components. Predictive analysis has been a passion of mine for a few years now, and I’m always interested to see how companies use the technology, and how developers react to their clients. Some of the features in the ST6 optimization preview were what the industry needs, but I’ll hold my comments until I can test the workflow and results personally. new functionality in the Goal Seek command – Goal Seek now functions in both 2D and 3D, and permits users perform studies with numerous different properties. 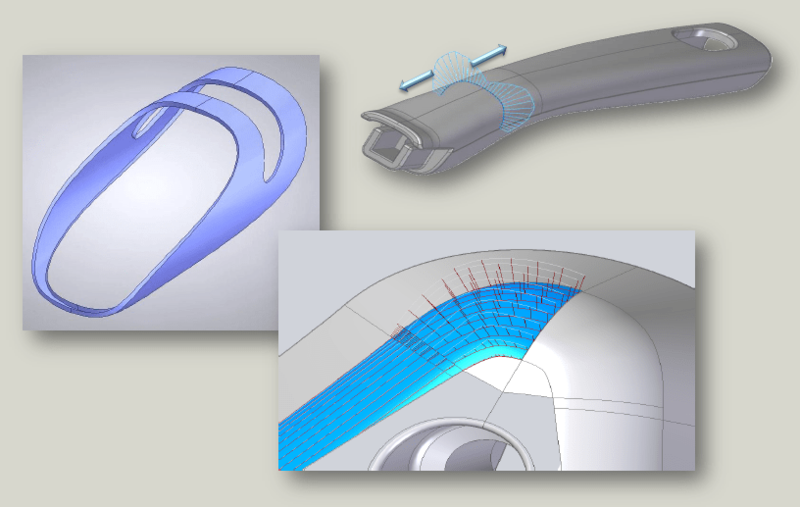 Solid Edge wants to eliminate the time spent in drawings as much as possible. There are some nice enhancements and this topic was one of the cornerstones of their SEU presentation. Some of the coolest features shown at SEU were the drawing cleanup tools. Dimensions can be automatically aligned. Balloon features can be aligned to sketched geometry including odd shapes. Simply sketch a shape around an assembly, and instruct SE to automatically reposition the balloons along the sketch feature selected. Both were really nice inclusions for ST6. Solid Edge wanted everything to be configurable, right down to the font in any particular cell. The formatting capability for tables in the drawing space are similar to working with Excel; when you want cell contents to be darker, or a different font, etc. it’s been made possible and easy to accomplish. Siemens announced the new online Solid Edge Online Community at SEU. 40 new training videos were added prior to the announcement. Solid Edge ST6 now incorporates a YouTube publishing functionality, and allows users to record videos within the SE environment, and then seamlessly upload these to a YouTube account with the push of a button. 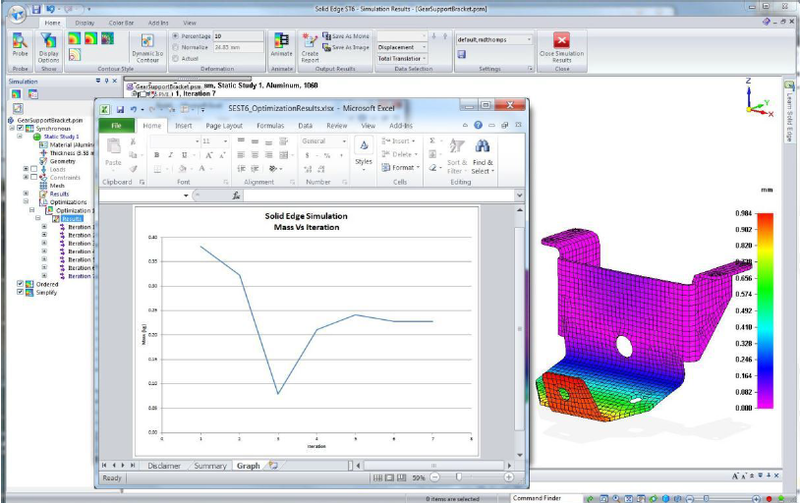 Solid Edge has moved further into the realm of multiple CAD format adoption. 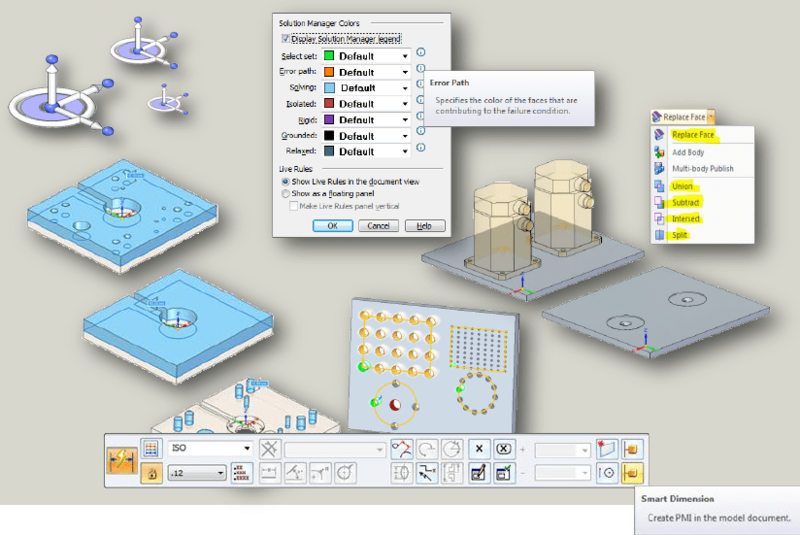 Teamcenter permits assemblies to contain sub-assemblies and components that include native and non-native cad formats, as well as non-modeled file data. Solid Edge draft file supports both iPad and Android devices, and includes multi-sheet navigation. I think this Solid Edge ST6 appears to be a very valuable investment. The drawing space improvements, optimization, and sheet metal improvements would be worth the upgrade. I have not worked with the simplified assemblies yet, however I am quite interested to see how these perform in assembly management, including the bills of materials, and editing. The only thing left to consider is what to do with my time until ST6 arrives, which is slated to emerge in August of 2013. Dimension Like an Expert with Solidworks DimXpert!